FAQ Fridays: What are Patents? Patents are government grants of temporary monopolies to creators of useful and ornamental inventions. A patent serves as a protection, preventing others from the unauthorized making, using, selling, or offering to sell the invention for a fixed time period—20 years in the case of utility patents. This protection affords the patent owner the opportunity for economic reward and also serves as an incentive to continue creating other inventions for even further financial gain. In exchange for this protection, detailed information regarding the invention is disclosed to the public, to be freely used by all once the patent monopoly expires. In fact, the patent protection is a bargain between the public and the inventor—the almost complete and unfettered protection of temporary exclusivity for an invention in exchange for explicit written instructions on how the invention is made and used. 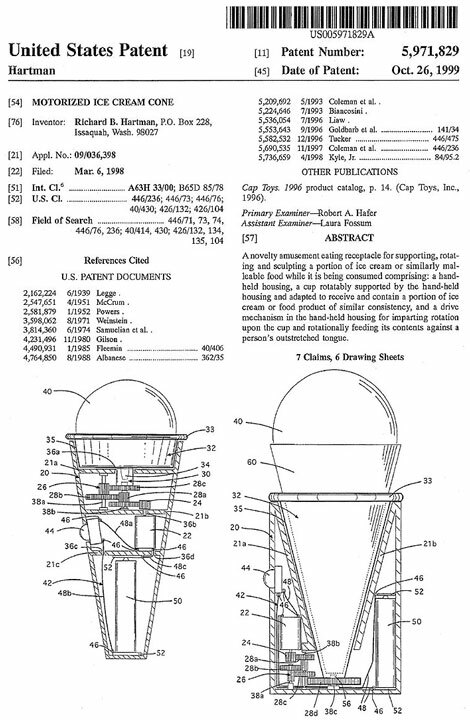 My first exposure to patents as a kid was a story in our small town newspaper about an inventor by the name of Bob Kearns. Bob suffered permanent eye injury from an exploding champagne cork on his wedding night. The visual impairment made it particularly difficult for Bob to drive during rainstorms, motivating him to design a variable timer circuit that enabled intermittent operation of an automobile’s windshield wipers. Bob patented his invention, built a prototype, installed the device on a 1962 Ford Galaxie, and demonstrated his invention in 1967 to engineers at the Ford Motor Company. Ford filed its own patents on the windshield wiper controller and offered the feature on its new 1969 models without ever reaching an agreement with Bob. Soon, every car manufacturer in the world was building cars with variable control windshield wipers. Bob filed suit, and after some protracted legal wrangling, settled with Ford and other automakers for some $50 million, at a time when $50 million was still a lot of money. Several important lessons come from this story of Bob Kearns. First of all, small time inventors can make significant contributions to technology – you do not have to be a Shanghai-based conglomerate to invent something valuable. Second, even simple inventions can be important contributions. Bob’s windshield timer reportedly only had four components – it was almost a trivial technical breakthrough, yet no less useful. Finally, patents level the playing field somewhat for small inventors when dealing with large companies. Is it difficult to enforce patents against mega companies? Yes, but the damage awards from large companies can also be disproportionately large. Newer PostFAQ Friday: Why do Patents Matter?